The spectacular Panathenaic Stadium remains one of the city’s most popular tourist attractions and is a shining beacon of modern Athens. 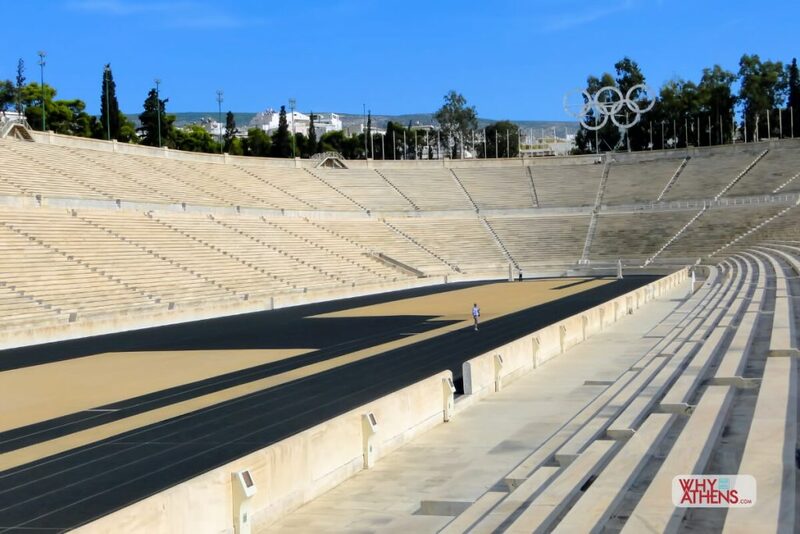 Following several transformations over its long history, it eventually became the home of the first modern Olympic Games in 1896 and remains the only stadium in the world built entirely out of marble. 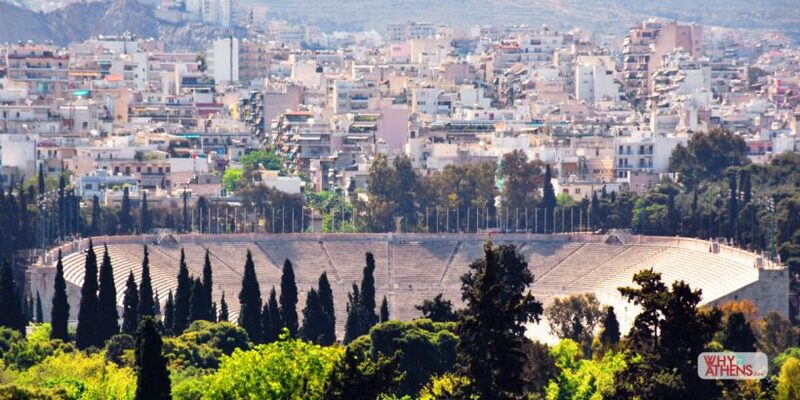 Beginning in the late 5thcentury BC when the great orator Lycurgus sought to build Athens an appropriate venue to host sporting events as part of the Panathenaic Games, one of the city’s major celebrations. The stadium originally had a rectangular shape that was typical of ancient Greek stadiums (such as in ancient Olympia and ancient Epidaurus) and would be used for the first time in 330BC. 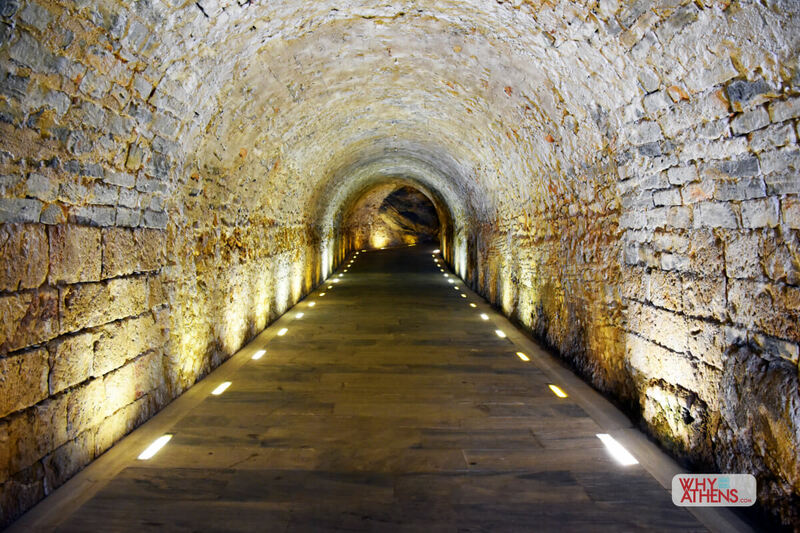 In the 2nd century AD, during the period of the Roman Empire and under the rule of Emperor Hadrian, Athens acquired many new and extravagant buildings as part of several public work projects. The Odeon of Herodes Atticus and the Panathenaic stadium, were both largely funded by the wealthy Athenian aristocrat Herodes Atticus. During this time, the stadium received a complete transformation, changing from its original rectangular shape to a horseshoe, which was typical of stadiums during Roman times. 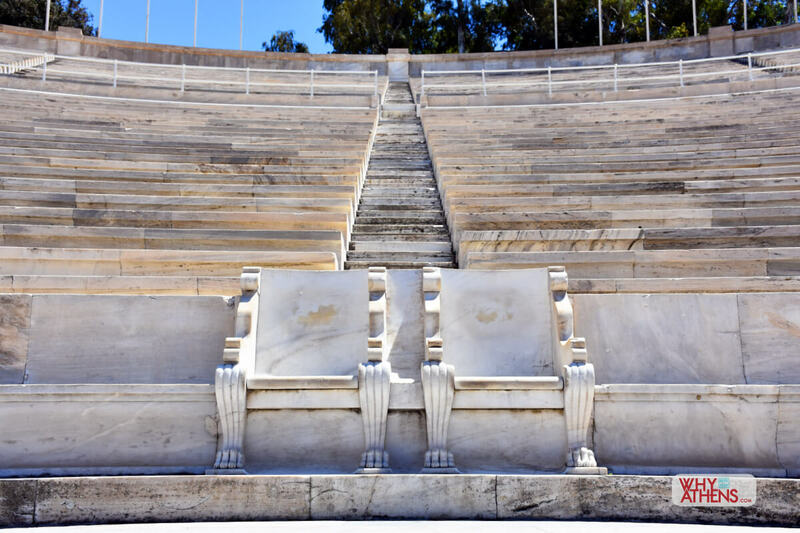 Its capacity was increased to 50,000 spectators and seats were covered with Pentelic marble from Mt Penteli, the same used to build the Acropolis. There was nothing quite like it in the world at the time, with its lavish décor and marble statues. 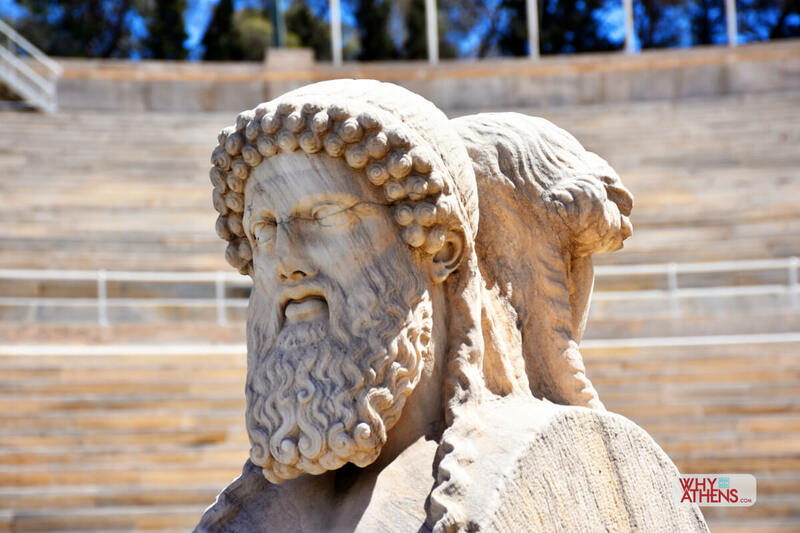 A few centuries later and after the site lay buried in soil and stripped of its valuable marble, the Panathenaic Stadium was set to start a new life as the idea of hosting the first modern Olympics in Athens took hold from the mid 1800’s. 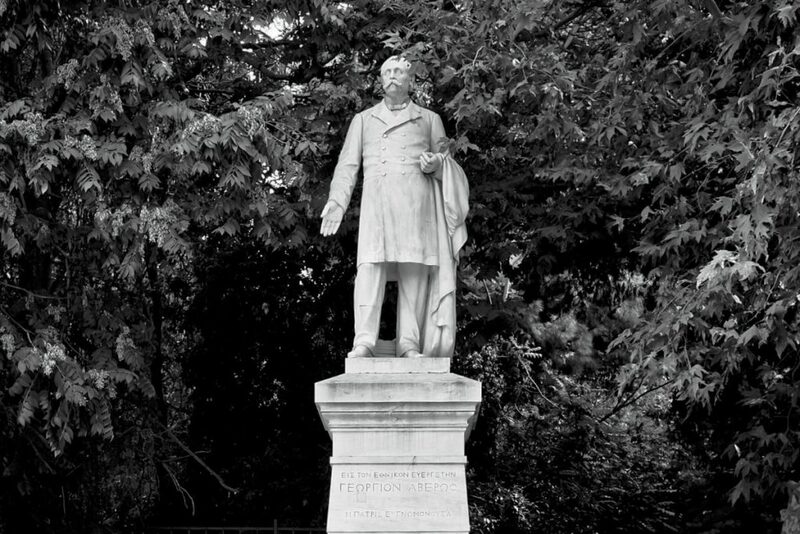 When the French gathered a world congress in 1894 to discuss the concept of a modern Olympic Games, it was agreed that Paris would host it in 1900 to coincide with their World Fair of the same year. 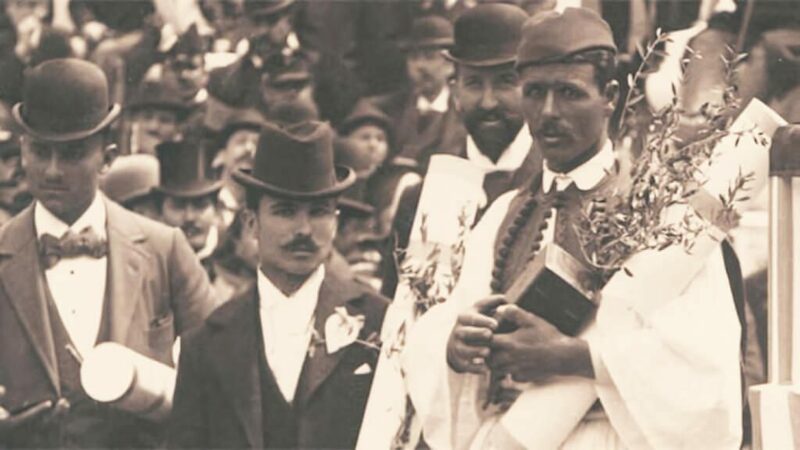 The Greek representative Dimitrios Vikelas saw an opportunity and suggested that Athens host the Olympics in 1896, but did so without the consent of the Greek government. 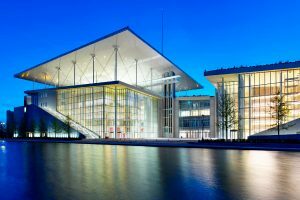 The world congress agreed but the problem for Vikelas was that Greece had declared bankruptcy a year earlier and the government could not fund an Olympic Games on Greek soil. Vikelas however was adamant that holding the first Olympic Games in Athens was an honour and something that Greece deserved. He gained support from Crown Prince Constantine and they devised a plan to privately fund the games by lobbying George Averoff, the wealthy merchant from Egypt and one of Greece’s largest benefactors. Averoff obliged and financed the construction of the Panathenaic Stadium, insisting it be built entirely of marble from Mt Penteli, as was used to construct the Acropolis. 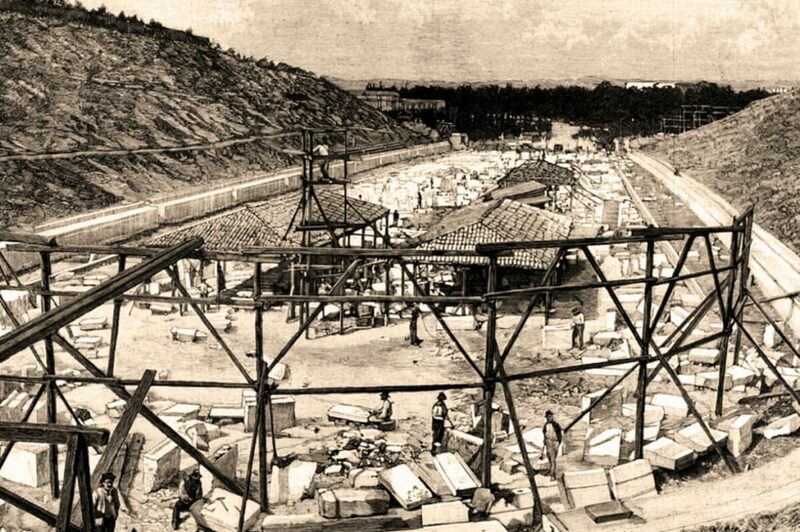 The project moved ahead at a furious pace and although not without complication (bad weather delayed the excavation of all the marble required to complete the stadium) the new stadium was ready in time to host the first modern Olympic Games in March 1896. Greek athlete Spyridon Louis won the Marathon race, bringing a whole new level of joy to the country. 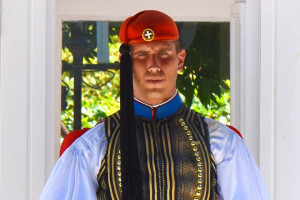 Whilst Greece of the 1890’s was still trying to evolve following the aftermath of 400 years of Turkish occupation, Athens had taken a major step forward, re-introducing Greece back into the fold of Europe. 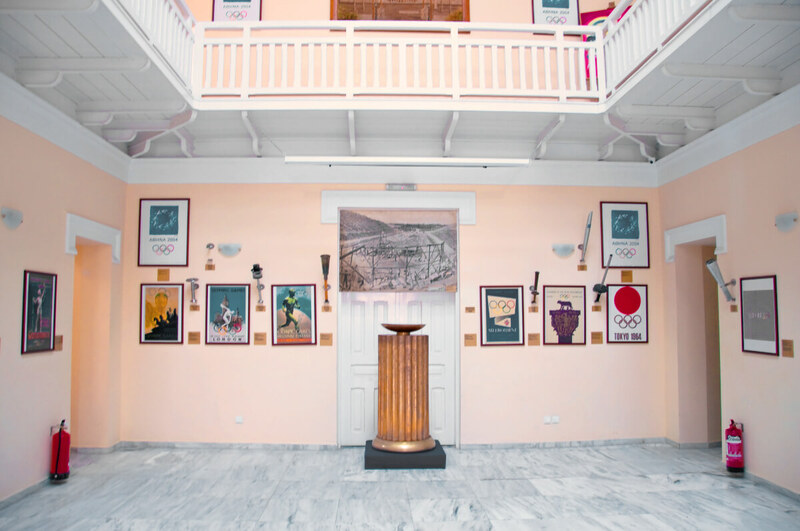 By the 20th century, locals came to call the venue “Kallimarmaro” (made of fine marble) and continue to do so today. The word “stadium” comes from the ancient Greek measure of length, where one “stadion” was approximately 185 metres and equivalent to the length of the track. The venue continues to hold significant cultural, sporting and ceremonial events. 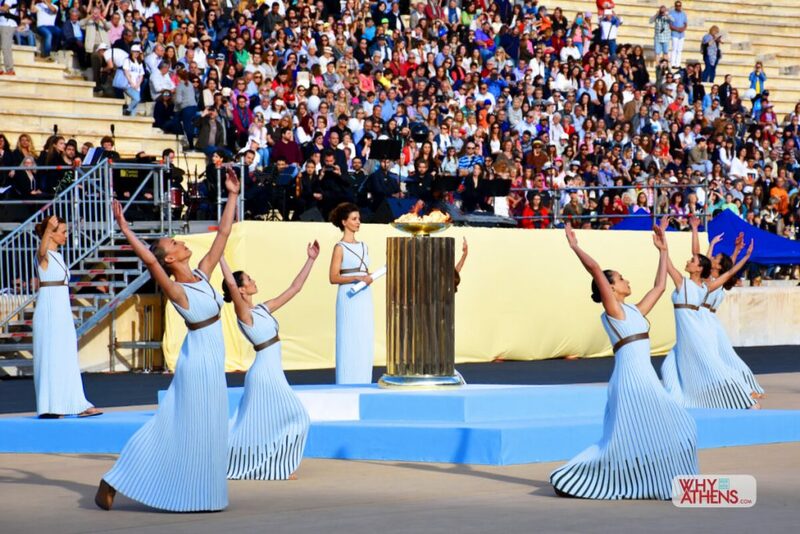 During an Olympic Games year, the Olympic flame travels from the ancient site of Olympia moving around Greece before finally arriving to the Panathenaic Stadium for an official hand-over ceremony to the new host country. 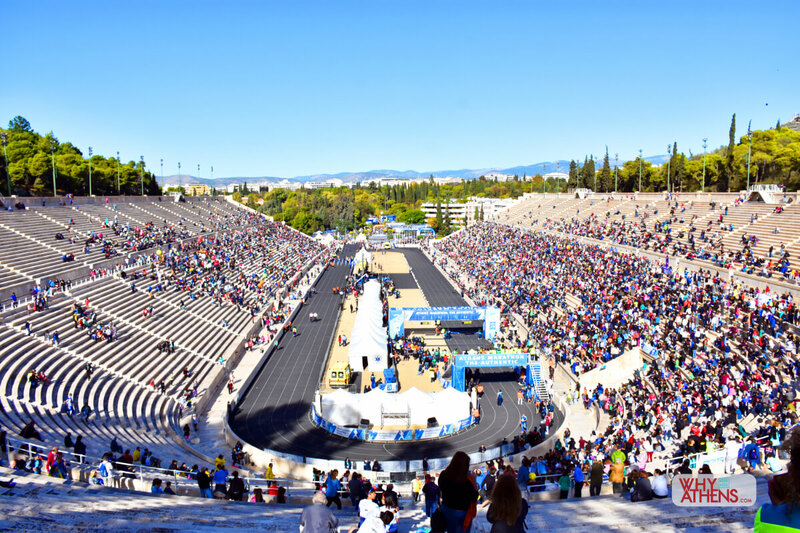 The stadium is also the finishing line to the annual Authentic Athens Marathon race held every November from the city of Marathon to Athens. 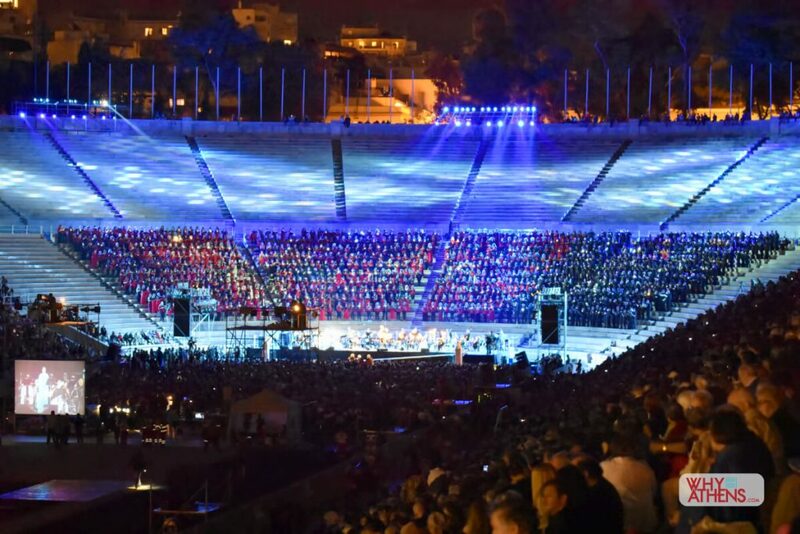 The stadium hosts regular concerts in summer and is an experience not to be missed if you’re lucky enough to be visiting at this time. 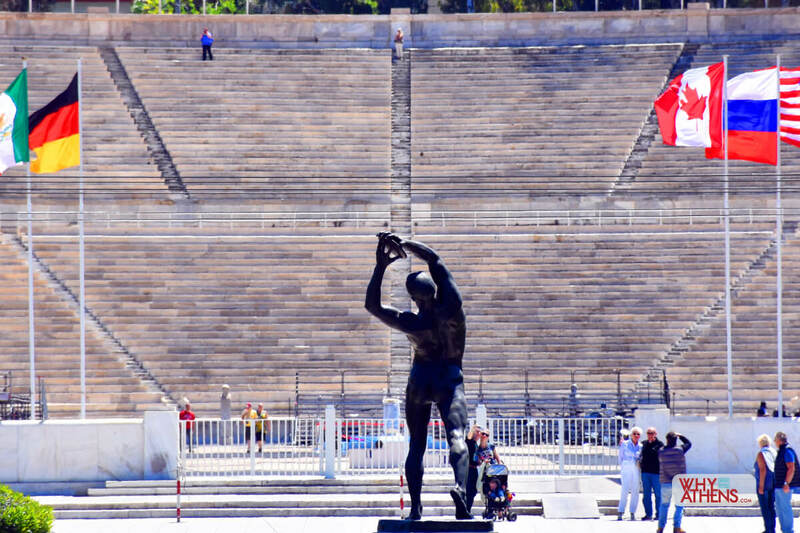 Why Athens Tip: The Temple of Olympian Zeus is within walking distance from the Panathenaic Stadium. 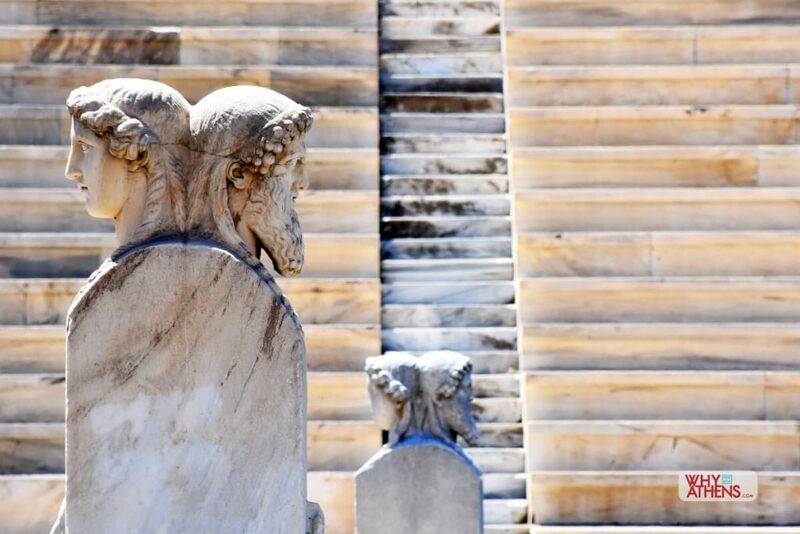 Be sure to climb up to the top row of the stadium and walk around each side for impressive views of Mt Lycabettus on one side and the Acropolis on the other. 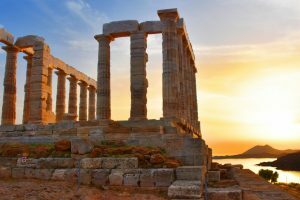 A short walk from Syntagma or Evangelismos metro stations.